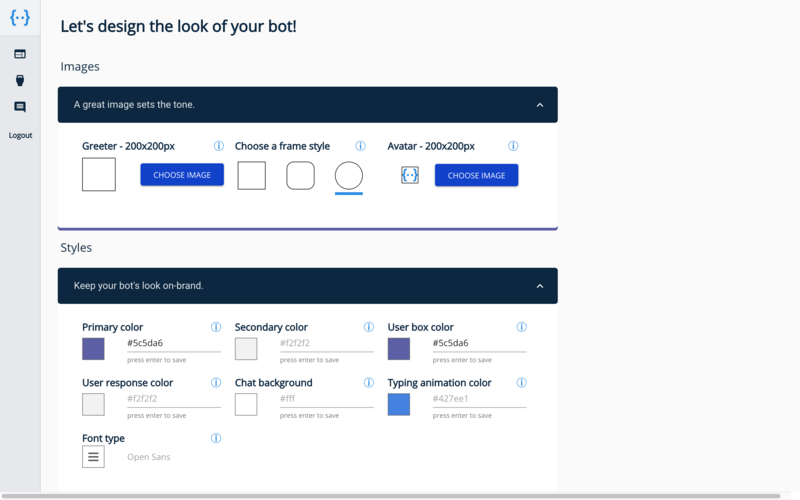 Botcopy – Set up a Dialogflow website chatbot in minutes! Finally, a rich Dialogflow web chat! Customize to your brand in a few clicks. Finally, a rich Dialogflow web chat you control. Harness the power of Dialogflow web chat. Why settle for "dumb bot" functionality on your website? Now you can automate complex tasks, radically cut costs, and boost customer satisfaction on your website with powerful natural language processing & machine learning. 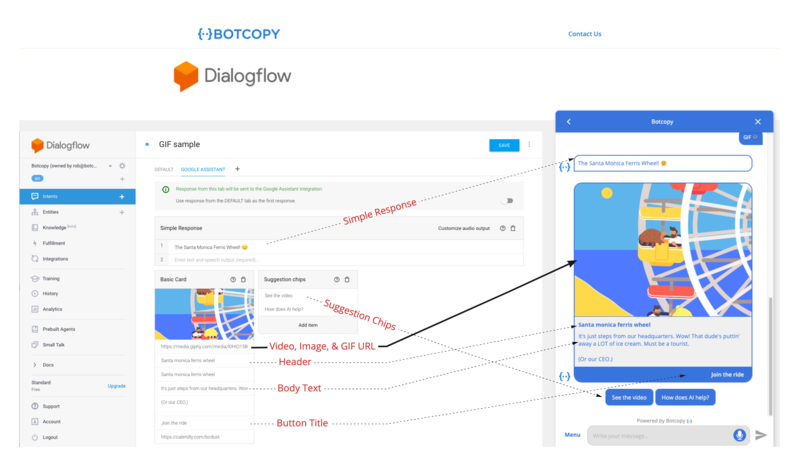 Botcopy makes it easy to have a Dialogflow web chat that puts YOU in control. Easily customize your web chat in minutes. Add an avatar & logo, choose colors and fonts. Set up custom bot prompts. View your theme in real time and tweak till it's perfect. No coding needed! Botcopy supports rich media like suggestion chips, cards, carousels, videos, gifs and more. Voice and full-screen settings. WCAG compliant. Our plugin is your playground!